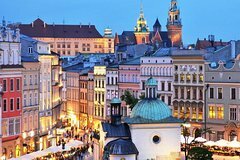 Krakow Jewish Quarter: 2-Hour Private Tour with a history teacher. A guided, 2-hour private tour of the Jewish Quarter’s most prominent historical landmarks. Immerse yourself in the atmosphere of the old streets of beautiful Kazimierz and feel the unique charm of the Jewish city. Your guide will be a history teacher and PhD student, who has for many years been fascinated by history, especially the history of Christianity and Israel. He is a Polish native and is well traveled, having spent extensive time in the countries of both Sweden and Israel, but is glad to call Poland his home.